Located in Hale County, Texas, Plainview is home to over 20,000 people, and an even higher number of potentially troublesome pests. The city’s 13.8 square miles of land, and semi-arid climate, are an ideal environment for creatures such as spiders, scorpions, ants, gnats, termites, and earwigs to thrive in. Luckily, Go Green Pest Control specializes in the permanent removal of unwanted pests that can cause damage to your home or business. We thoroughly inspect your property to find any and all traces of pest activity, and then take diligent steps to remove the problem for good. Our professional pest removers work tirelessly to get rid of pests and then keep them away, through regular maintenance of pest barriers we’ll create around your premises. Pests are a hassle that none of us need in our lives. When you work with Go Green Pest Control, you can feel assured that pests aren’t something you need to worry about that anymore. 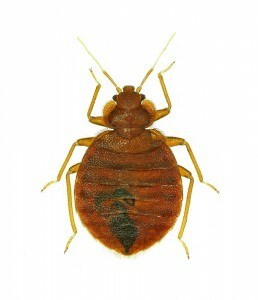 Our skilled technicians are experts in pest control, and will take care of everything for you. Don’t live in fear of encountering unsightly creatures inside your home – contact Go Green Pest Control today to find out more about how we can safeguard you and your property from pests in Plainview. Call us at 505-404-1440 to talk to one of our pest control representatives. We promise we won’t bite.